Following from Tuesday’s post, here’s more information on how the local media are covering the show. As you’ll notice, there are no women here. Although since the most-promoted female guests are the wrestling-associated Bella Twins, maybe that’s a good thing. There was also a full-page William Shatner interview in this section. 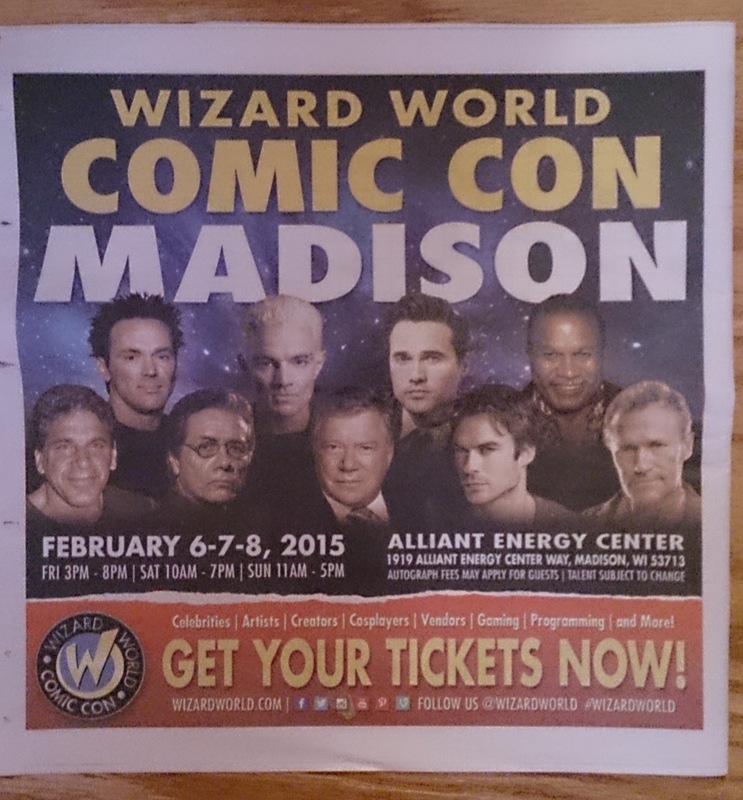 Elsewhere in the paper, everyone got a copy of the Wizard World Madison program guide, which does NOT include the panel schedule. Of those, the most interesting to me are the ones actually talking about comics history, without being an obvious promotional attempt. Here are three with local connections that stood out. The weather for the weekend will have highs in the low 30s, with a slight chance of snow/freezing drizzle Saturday night into Sunday, so I hope attendees bundle up. And that the show has a coat check.